All of our products are made fresh using only the fruits and vegetables we grow on our farm. They are available for sale during the season at our farmstand in Milford as well as at our farm market locations. Enjoy! Travel back in time when you taste our preserves & fruit spreads made the old-fashioned way. 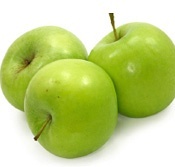 They are all natural and only contain our high quality flavorful fruit, fruit juice or sugar, and natural pectin. We use nearly a pound of fruit per jar, giving the preservess & fruit spreads a significant taste advantage over grocery store varieties. 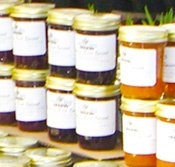 What's the difference between preserves and fruit spread? There is no sugar used in creating our fruit spreads. Rather, we use white grape juice for sweetner. This makes them suitable for those with diabetic needs. 1 Tablespoon of Phillips Farms Fruit Spreads = 1 Fruit Equivalent. Sugar or not, all the flavors will remind you of how Grandma used to make it. Taste them all and see for yourself! We make our Fruit Butter with lots of fruit, no added sugar and no seeds. Still have those memories of Grandma's famous apple butter? You'll get that same great taste here -- and not only apple butter, but other great fruit flavors as well. 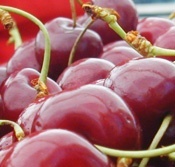 All of our varieties provide an intense, concentrated flavor of fruit with a consistency that is thicker than jam. Great on toast, pancakes and much more. 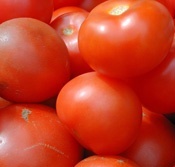 Our new line is made from our own vine ripened tomatoes so all you get is gorgeous tomato taste, pure and simple. We are now making our own apple ciders! Our apple cider has no sugar added. It's made only from apples... nothing else! !